The TALLEST portable tripod made. Designed for use with the very LONGEST POLES made. Literally the daddy LongLegs™of all tripod systems. Multi-purpose lightweight portable TeleScoping Pole Tripod System, with fully articulated Gimbal Mount standing up to allows a very long fully extended pole to be rotated any direction 360-degrees horizontal, and from ground level to full 90-degrees vertical. In addition, pole in Gimbal Mount can be fully rotated on its own axis, allowing complete manipulative control of whatever is mounted at the tip of the pole. As little as 10Lb counterweight balances the pole perfectly, allowing fingertip adjustment at base or via a control cord on the pole fore and aft of the gimbal. Adding 5Lb additional counterweight makes pole self-righting to vertical position unattended in calm weather. If desired, gimbal and pole can be locked into any position with turn screw knobs. Adjustable fiberglass tripod legs stand from six feet up to twenty feet, adjustable in five foot increments, plus leveling adjustments of 2.5 to 5.0 inches at each base. At full extension, gimbal stands 17-ft above ground. Each leg base has a steel point with foot plate to assist pressing point into the ground. Optional base leg Rubber Boots available. Tripod leg angle is fixed at 60 degrees at the mount, but fully extended legs flex to allow setup for maximum stability (wide) or maximum height (narrow). Entire Tripod Gimbal weighs only 18 Lb (8.2Kg), about 77x10x10-inches collapsed. Optional: ALUMINUM tripod legs 8-ft long, fixed length with steel points, no leveling adjustments. Each leg has a steel point. Gimbal Mount height 7-ft. Optional base leg Rubber Boots available. Entire Tripod Gimbal weighs 10 Lb (4.5Kg), about 103x10x10-inches collapsed. Full system weight depends upon pole used and counterweight required. Aluminum T-Lock™ TeleScoping Pole with Universal Mount tool tip at top with standard, toothed, turn screw fitting for Special Tools or mounts (see link). 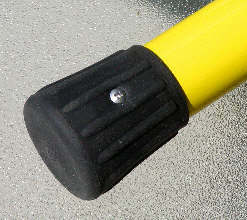 Or, 5/8-inch x 11 thread mount at top fits standard GPS antennae or other equipment with similar mount. Most rigid very long pole available. Made with lightweight drawn aluminum, with all metal machined locks pressed into tubing. Caution: Aluminum is highly conductive in any electronic environment. Fiberglass Poles are lightweight and non-conductive made with high-strength dielectric fiberglass with Epoxy Resin coating, poles feature positive locking, spring-loaded buttons for fast and easy extension. Universal Mount tool tip at top with standard, toothed, turn screw fitting for Special Tools or mounts (see link). 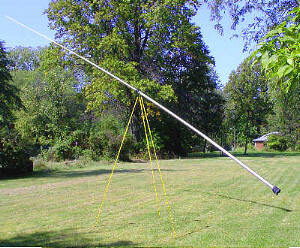 Carbon Fiber lightweight poles are the lightest very long poles available. For use with only very light tip load at extreme heights. Using spring button locks in a fixed housing provides positive lock at every segment. Made with high-modulus, high-strength, carbon fiber tubing, poles can weigh up to 40% less than equivalent fiberglass poles. Poles are fitted with a button tip (lamp changer), GPS thread, or custom fitting by request. Flexibility similar to fiberglass. Caution: Carbon Fiber is highly conductive in any electronic environment. Mounted in the Tripod Gimbal mount, poles require counterweight during use. Amount of counterweight and exact positioning of pole in gimbal mount depends on length of pole extended and weight of equipment at tip end of pole. For survey purposes, gimbal is recommended to be left unlocked with counterweights adjusted to allow pole to automatically self-right itself to vertical. For Universal Mount tool tips, see Special Tools or mounts (link). Aluminum and Carbon Fiber are highly conductive in any electronic environment. System collapses down into an easily carried assemblage. 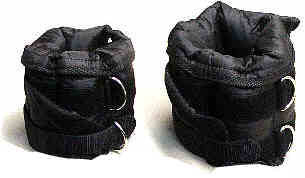 Padded Canvas Storage Bag (included). 8' Aluminum 10 Lb (4.5Kg) 7 1 103 1,499. 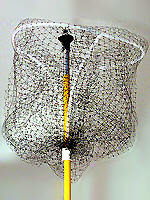 40 ft Fiberglass L-series Lamp Chgr (Univ, Broom, Camera) 8 5.8 lbs 74 inches L40 470. 30 ft Fiberglass H-series Univ 6 6.4 lbs 72 inches H30 430. 40 ft Fiberglass H-series Univ 8 8.6 lbs 74 inches H40 600. 50 ft ‡ Fiberglass H-series Univ 10 10.8 lbs 76 inches H50 790. 30 ft Fiberglass H-series Heavy Duty Univ 6 7.1 lbs 76 inches H30HVY 490. 40 ft Fiberglass H-series Heavy Duty Univ 8 9.5 lbs 78 inches H40HVY 670. 50 ft ‡ Fiberglass H-series Heavy Duty Univ 10 11.9 lbs 81 inches H50HVY 800. 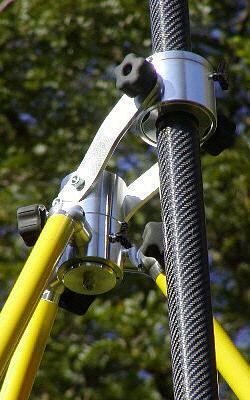 60 ft Carbon Fiber Lamp Chgr (Univ, Broom, Camera), (GPS) 8 10.4 lbs 106 inches C60 1,800. 75 ft Carbon Fiber Lamp Chgr (Univ, Broom, Camera), (GPS) 10 13 lbs 108 inches C75 2,500. 100 ft ‡ Carbon Fiber Lamp Chgr (Univ, Broom, Camera), (GPS) 13 17 lbs 111 inches C100 3,500. 30 ft †Aluminum T-Lock™ (Univ, GPS, Broom, Hollow Shaft) 4 13.2 lbs 103 inches T-LOCK30/4 595. 38 ft †Aluminum T-Lock™ (Univ, GPS, Broom, Hollow Shaft) 5 18.8 lbs 106 inches T-LOCK38/5 695. (Padded Canvas Storage Bag included) . Order. On hard smooth level surfaces, or indoors. 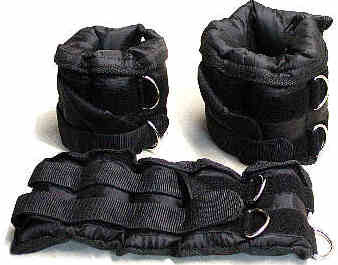 place Rubber Boots on bottom main leg segments. 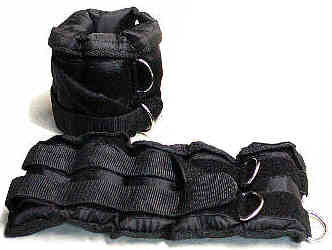 May be permanently fastened with stainless steel screws. 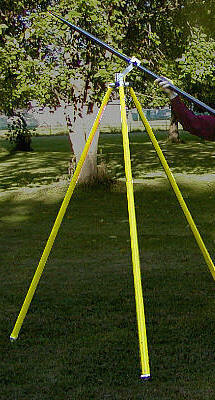 Maximum length of pole manageable by an individual with good physical strength is limited to 30 feet (10 meters). This is due to the nature of relative weight of the far end of the pole at distance. Beyond 30 feet is beyond the reasonable limits of an individual's personal strength and ability to control the hook-end of the pole. * When a pole extended more than 30 feet is to be used, it is required to use counterweights at the pole base and to have the assistance of additional persons. Subject to mfg. availability; prices subject to change. All prices above for USA product in US$. Plus shipping and applicable taxes, duties or tariffs. OH resident's will be charged sales tax, recipients must pay any other applicable taxes, duties or tariffs. LongLegs™ Tripod Gimbal Systems & T-Lock™ Stealth TeleScoping Poles™ are NOT provided via the DLA system. You must Order direct. We accept Visa/MC purchase cards and deliver direct to individual commands. GeoData Systems Management Inc. (GeoData) sells direct to business, military & government end users. GeoData is the SOLE SOURCE manufacturer and provider of these LongLegs™Tripod Gimbal Systems and T-Lock™ StealthTeleScoping Poles™. Names LongLegs™,T-Lock™ StealthTeleScoping Poles™ are the exclusive property and trademarks (™) of GeoData Systems Management Inc.
We guarantee all products as represented herein and that prices posted are lowest cost prices for these products to any end user. Prices are as posted, plus shipping, insurance & handling, not including any applicable taxes, duties or tariffs (usually exempt to government users). Tipod Gimbal Systems and T-Lock™ StealthTeleScoping Poles™ are NOT SOLD to any third party organization for Resale. "Open Bidding" for these poles by any party, organization, or governmental entity is strictly prohibited. Instituting such activity, violates our rights as Sole Source Manufacturer, our contracts, and ultimately USA and international law. Orders may be placed by business end users, military commands, procurement personnel, duly contracted government agents, or national embassy personnel and/or Liaison Officers in Washington, DC. Pole strength and durability are unknown. However, manufacturer evaluations indicate impressive resistance to pole failure with nominal loads in hook end. 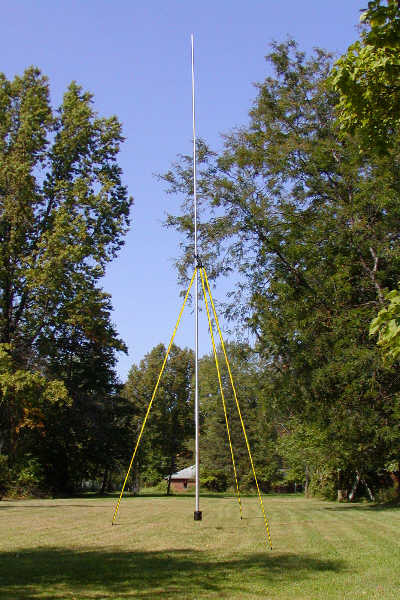 Poles are capable of being raised and lowered from horizontal to vertical while fully extended, without danger of pole failure or excessive bending. and use of counterweight on pole base is REQUIRED. See Warnings & Utilization Notes and Pole Utilization Errata. Not recommended for use in the vicinity of electrical power, power lines or any other potentially electrical environment without proper additional safeguards, precautions and special personnel safety training. Manufactured by GeoData Systems Management Inc. Manufacturer assumes no personnel liabilities what-so-ever in the use of these poles. End user assumes full responsibility for any hazards, injury or deaths which may result from any proper or improper utilization of these poles or tripod.